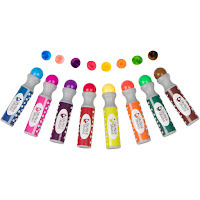 Most of us adults might remember using these while playing bingo with our parents, but I have always loved the idea of using these with children to create art. 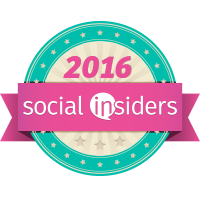 You can use these at home, pre-schools, and regular schools. 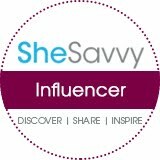 I love that this set comes with so many colors and they are so easy to get going. 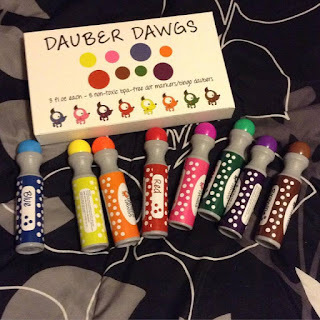 You are just seconds aways from creative dot fun with Dauber Dawgs. 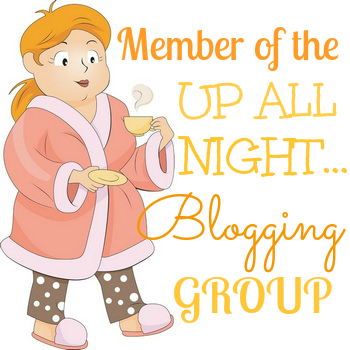 If you visit Cameron Franck Products website you can also print out more worksheets which is a great way to add more dot for your buck. 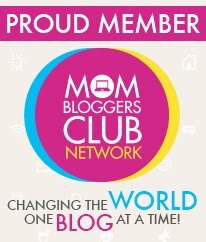 You can use these to learn colors, letters, numbers, etc. Plus you make some really great art along the way. Dauber Dawgs are easy to hold and use which is great for young learners or those with developing hand eye coordination. Great for any young artist but I have to say even us adults had fun with these. 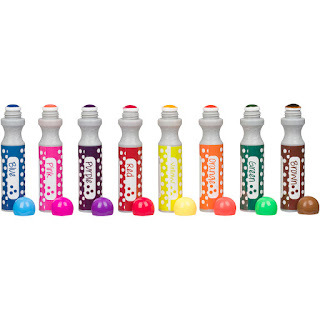 Dauber Dawgs can be found on Amazon. 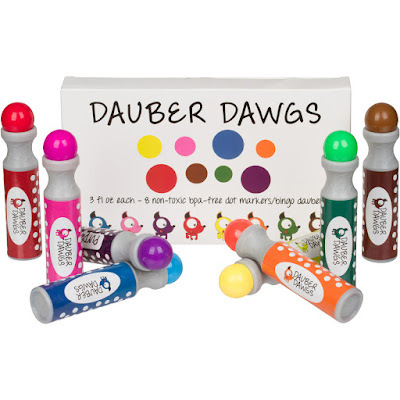 Dauber Dawgs are dot markers specifically designed with the developing toddler in mind. 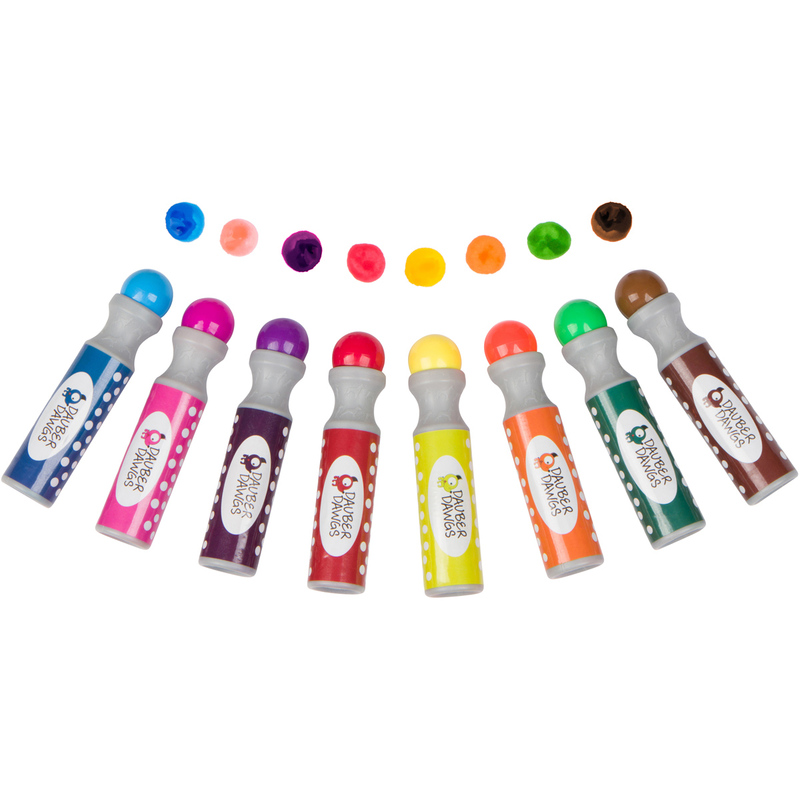 These dot markers were made so that small and big hands could grip them easily. 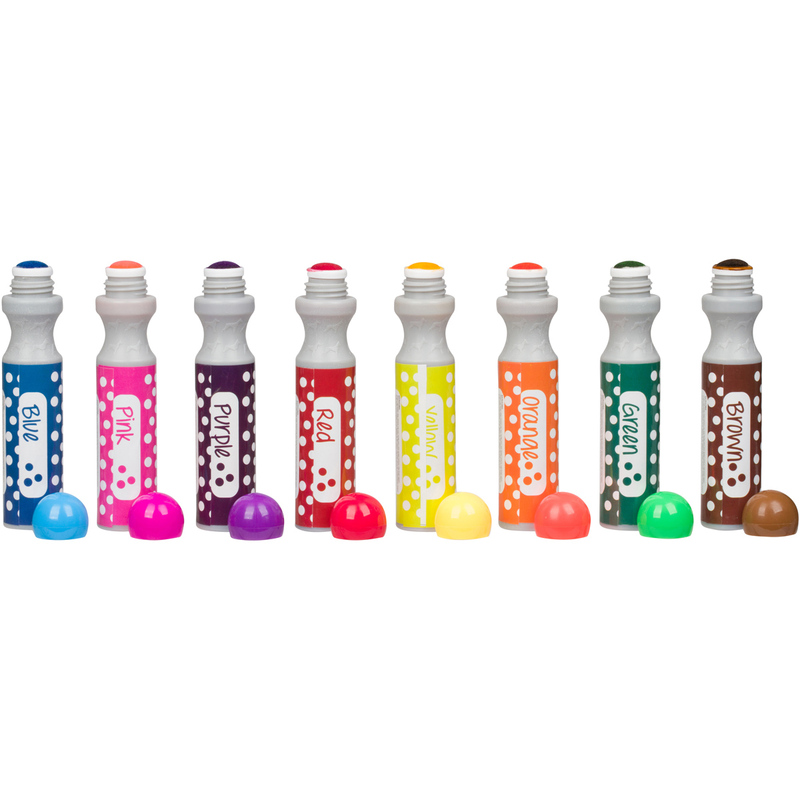 Each pack comes with 100 pages of downloadable dot marker activity pages. Start building a strong aesthetic foundation in your toddler today with a pack of Dauber Dawgs Dot Markers!